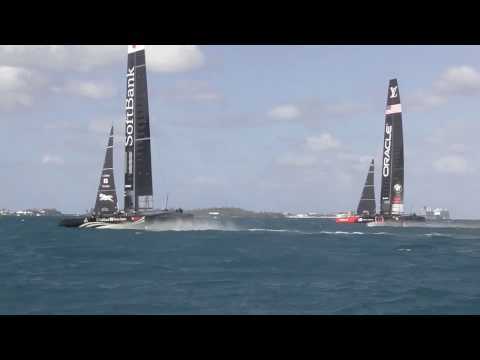 Bermuda will host the 35th America’s Cup from May 26 to June 27, with six top teams battling it out to win sport’s oldest prize. As the first race looms, we ask Ken Read, ACTV commentator, president of North Sails and two-time America’s Cup helmsman, to give his predictions… Much has been made of crew fitness, but all the crews will work hard enough that eventually they will even each other out. In many respects, they are working with decisions made weeks, months and even years prior — whether that was in the design room or in the workshop. It’s been said before, but it’s still true: the fastest boat always wins! Much has been made of crew fitness, but all the crews will work hard enough that eventually they will even each other out. In many respects, they are working with decisions made weeks, months and even years prior — whether that was in the design room or in the workshop. It’s been said before, but it’s still true: the fastest boat always wins! The teams are pushing their boats to the brink and sooner or later, something's got to give. No one knows these boats better than the guys who sail them, yet with the stakes so high, chances are they will push hard enough to break part of their boat at a key moment, all but eliminating their chances. It was Emirates Team New Zealand's clever idea to maximise the power of the crew by putting them on bikes. Our legs are twice as strong as our arms, after all. But although this change is visually obvious, it really won't be as key as many other aspects of these boats in deciding who wins the America’s Cup. Since setting their eyes on the prize, most teams have been practicing all winter in over 10 knots of breeze. There will be some curve balls with Bermuda's daily average falling under 10 knots right about now. Just like sailing any other boat, everything changes with wind pressure and the teams need to be prepared for that eventuality. With 64 miles of coastline, Bermuda is composed of 181 islands totalling 21 square miles, and has just over 60,000 residents. Racing will take place in Bermuda's largest ocean inlet — the Great Sound. 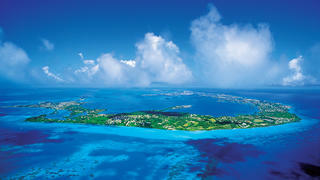 As you would expect in a place with so many islands, water activities are the life-blood of Bermuda. The America's Cup Village will feature team bases, a pit row, food and beverage, entertainment and concerts, creating a perfect destination for hard-core America’s Cup fans and newbies alike. 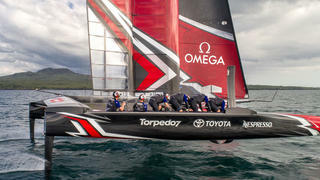 America's Cup foiling catamarans can sail three times the speed of the wind. On a breezy day, say roughly 15 knots of wind, these boats will fly at speeds you cannot imagine. 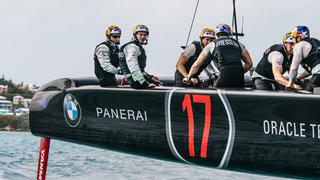 There are rumours that Softbank Team Japan and Artemis Racing (pictured above) have reached the 50-knot mark, and surely they will not be the last. America's Cup teams progress with a steady flow of ideas, trial and error, and revelations. A constant feedback loop between the sailing, design, and systems engineers is key, and it will be running well into the Cup races. America's Cup fans will recall the performance gap facing Oracle Team USA when they faced off with Emirates Team New Zealand early in the San Francisco races. They will remember, too, the rate of change and improvement made by Oracle to eventually win 9-8 — the biggest comeback in America's Cup history. This trend will continue. Superyacht owners "could be charged thousands to anchor near America's Cup action"